If I start my day with sugary sweet pastries or even carb laden cereal, I'm in for a blood sugar roller coaster that will leave me craving more sweets all day long. The problem is, savory breakfast foods like eggs and sausage aren't always what I'm in the mood for. 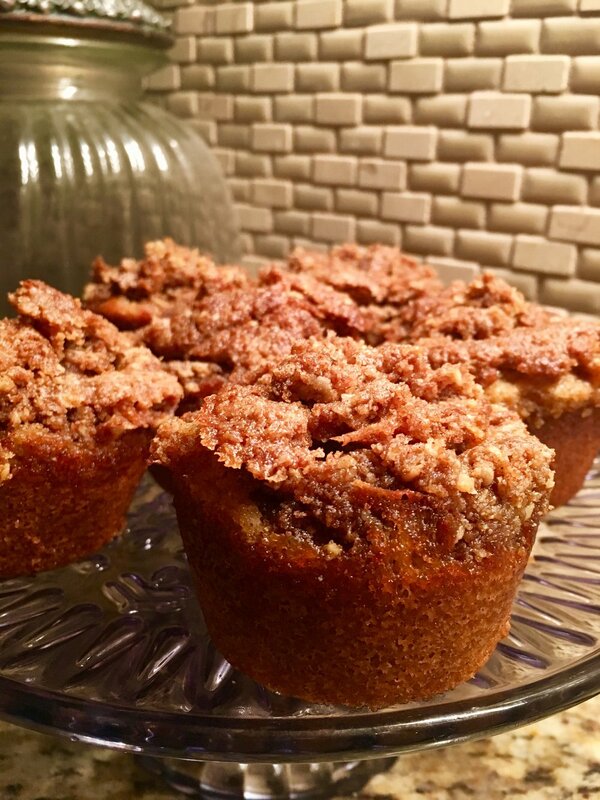 These Coconut Coffee Cakes make a perfect substitution for muffins and breakfast bread and pair with a mid-morning cup of coffee beautifully. When adding collagen protein powder (optional in this recipe) I feel even better about this breakfast choice. Add the wet ingredients to the dry ingredients and pour into muffin tins. Mix together the topping ingredients until chunks form and sprinkle over muffin batter. * You can substitute Golden Monk Fruit Sweetener to lower sugar and carbohydrates even more (See Amazon affiliate links below to see what I buy). Older PostIs Coffee Good For Me?